and how have they benefitted? We interviewed a few clients in order to share their stories with you. ​These vignettes provide a window into the kinds of functional transformation available via Centerline's movement education curriculum. It's the portal to fueling what you love doing in your everyday life. How long have you been coming to Centerline? ​I’m 82, and I’ve been coming for a little over a year. It’s never too late to start—but it’s better to start early! What prompted your first visit? ​My hip bones were getting thin and I needed to do weight-bearing exercises. I was having lower back pain and losing range of motion. Have you gotten the results you expected? Yes! From my first visit, my instructor taught me an exercise that cleared up my back pain. How is this different from other types of workouts you’ve experienced? I never exercised before this. I had NO muscles. I couldn’t even move the handles on the machine. Centerline instructors and participants were so nice. There was no judgment, just such a positive environment! I always feel so much better after my lesson than before. Has your work here enabled you to do something that you didn’t think you’d be able to do before? Yes! So much! I'm regaining movement and range of motion. I feel a lot more limber and I've gained a lot of muscle! Just to keep getting better and stronger. ​A little over 3 years. ​The workout and physical therapy routine I was doing at home wasn’t working to relieve my pain and discomfort. It focuses on the integrated whole—rather than one joint or muscle. It was the first type of exercise that's resulted in a significant decrease in my pain and discomfort. It's allowed me to do activities that I wasn’t able to do before. For example, a medical professional had told me that I should never ride a bike again, but I can now ride. I rode the whole 106 miles of El Tour de Tucson for the last two years in a row! I started out coming here once a week and now I’m up to training four times a week. I want to continue with what I’m doing and keep get better and stronger. ​I have an old structural injury and I was noticing weakness and not being able to do what I wanted. 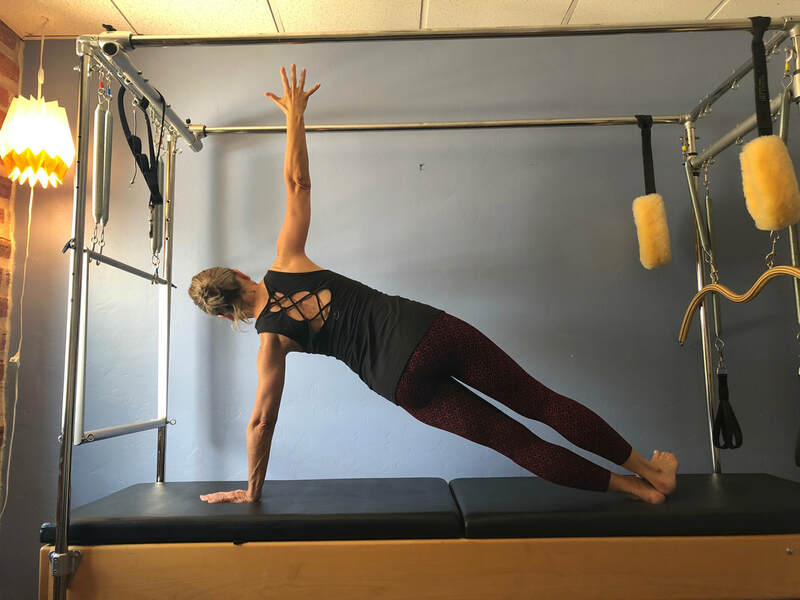 Being a bodyworker, I knew it was time to create a new relationship with old patterns—and I knew Centerline was the place to do that. Many, many changes—too many to list. Definite increase of strength in areas that were weak. New spatial awareness in my body. An opening and increased flexibility in the tissues. The positive joy of movement! I'm experiencing measurable shifts in my daily physical activities. I want this to continue and only get better! There's extremely personalized attention, even in group classes. It complements any other type of training program. It greatly increases your spatial awareness and mind-body connection. I'm always looking for quality instruction and training that helps me learn new ways to be in my body and to develop my skills and awareness. Each class is more like physical therapy—but also playful, fun and enjoyable, while still challenging me. "Centerline instructors and fellow students are so nice. ​There's no judgment, just such a positive environment!" ​I've been doing Pilates for over 3 years. In addition to being active, I’m kind of accident-prone. I'd aggravated the bulging discs in my back so badly that my doctor recommended surgery. I was referred to Centerline by a friend who also has back issues. The results are way better than I ever expected. Before Pilates, there were days that I could hardly move due to extreme back pain. After a Pilates session, I can move so much more easily and the pain subsides a great deal. Although the exercises seem easy, they are so deliberate and focused you feel the effects—in a good way—for days. I never get bored doing repetitive workouts; our instructor always surprises us with variety. My wife and I love to ski. I couldn't join her for three years due to back and neck issues. I'd also torn both rotator cuffs, and had surgery on one. I had a fractured pelvis that required surgery with a plate and screws. This year, I was able to ski for four full days in a row at the same level I used to ski before my injuries. I'm 60, and with the help of Pilates, my goal is to continue to ski, hike, mountain bike, etc., into my seventies and eighties. My husband dragged me to a TRX class. He really loved it and said “You have to try it.” Well, I didn’t love TRX, but I loved my instructor. So I started doing Pilates with her. Now, I’m really committed to Pilates, and even when I leave for the summer, I continue to practice. I had never liked Pilates. It was a movement modality that I'd been avoiding because I had never really enjoyed it or saw the importance in it. 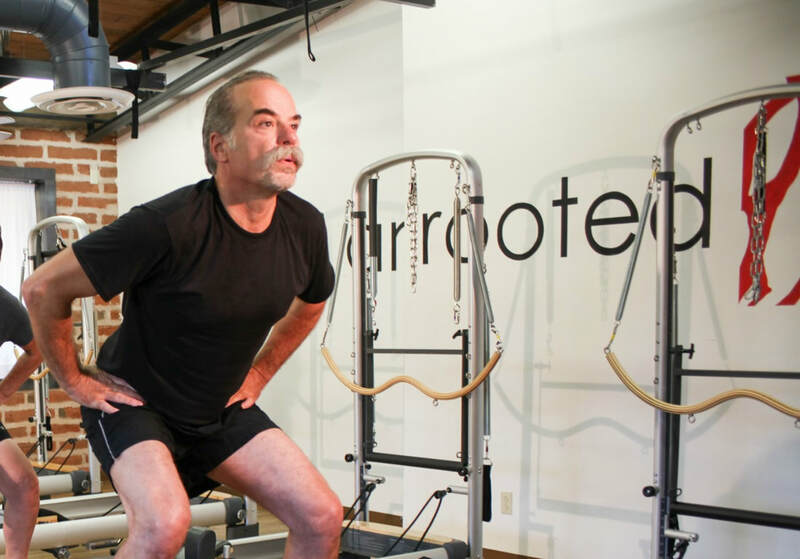 Centerline offered a very different introduction to Pilates than I’d ever experienced before. This was a result I was not expecting. I owned a yoga studio for 20 years, and I'd judged Pilates to be 'soulless yoga'. Even with this bad attitude toward Pilates, my Centerline instructor met me where I was. My training in Pilates has allowed me to access deeper backbends—even after my years of practicing yoga. I’d never really liked working out with machinery, so Pilates has given me an appreciation of the usefulness of machines to do things and achieve results otherwise unavailable. ​I began at Centerline on the recommendation my massage therapist, who thought it would be excellent for bothersome back issues. The work at Centerline has helped not only with my daily movement, but also specifically my posture at the piano. The teachers—I've worked with Ren, Rachel, Marly and Amy—are highly skilled and incredibly knowledgeable. The general atmosphere of the studio is caring and welcoming, friendly and low-key, but at the same time, clients receive high-energy work. 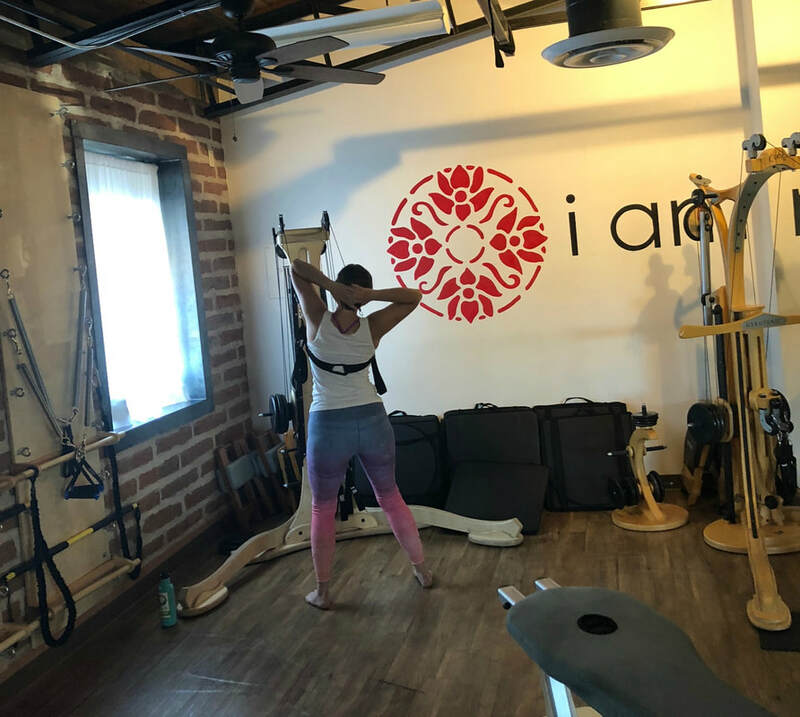 The equipment is designed to offer much more range of motion in training and provides the opportunity to work your body in a myriad of ways. ​The mind-body connection is superior to any other method I've tried, including yoga. It's greatly increased my understanding and knowledge of my own body, as well as body mechanics. I want to continue working on spine rehab and maintaining strength and flexibility. Also, to continue recommending Centerline to everyone!